Celebrating by Blogging Under the Cotton Sheets (Made in China?) | A Daily Dose of Zen Sarcasm! March 25th, 2008– Herr Meow by a sunny window, with a friend. 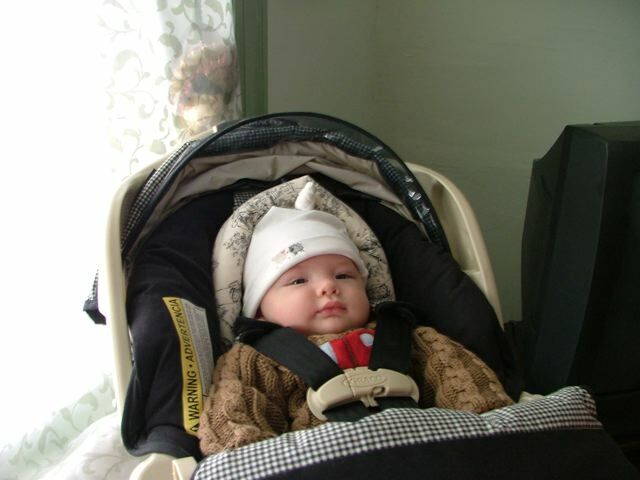 March 25th, 2006– Herr Meow by a sunny window, with a carseat. The picture above was taken the morning after we arrived in DC, after surviving the scariest cab ride ever and a long, long pilgrimage to our future home. Two years don’t seem like much until you see what it all means to a little baby: someone who really has known nothing other than DC in his little (semi) conscious lifetime. Two years in DC– and it’s been good. 25 Mar	This entry was published on March 25, 2008 at 8:39 pm and is filed under DC Dukkha, Domestic Bliss, Herr Meow!. Bookmark the permalink. Follow any comments here with the RSS feed for this post. What a handsome little man he’s turned out to be as well … as for me, I’m closing in on two years in B’more, and I can’t say I’m in love with the place. What a great way to illustrate 2 years! He’s so cute! 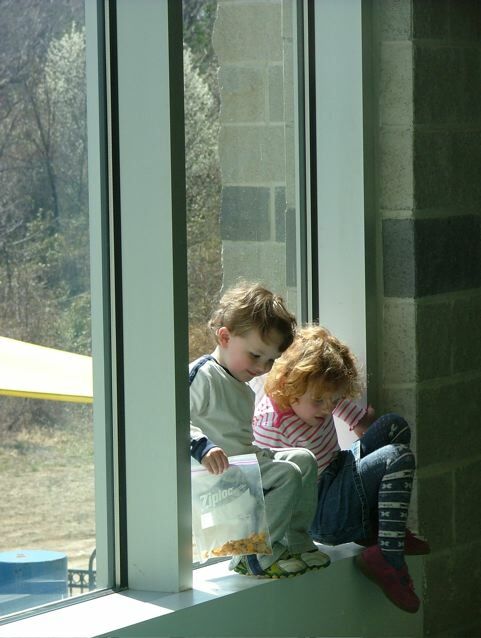 Is that a little red-headed girl or boy with him? It’s hard to tell. Gotta beware those little red-haired girls, they steal hearts away 🙂 so my husband swears.